Dear Customers, we will be on a spring break from 4/17- 4/26, all orders placed during this time will be reserved and will ship when we return. Please use the website to place your order; we do not process orders by phone. Thank you! 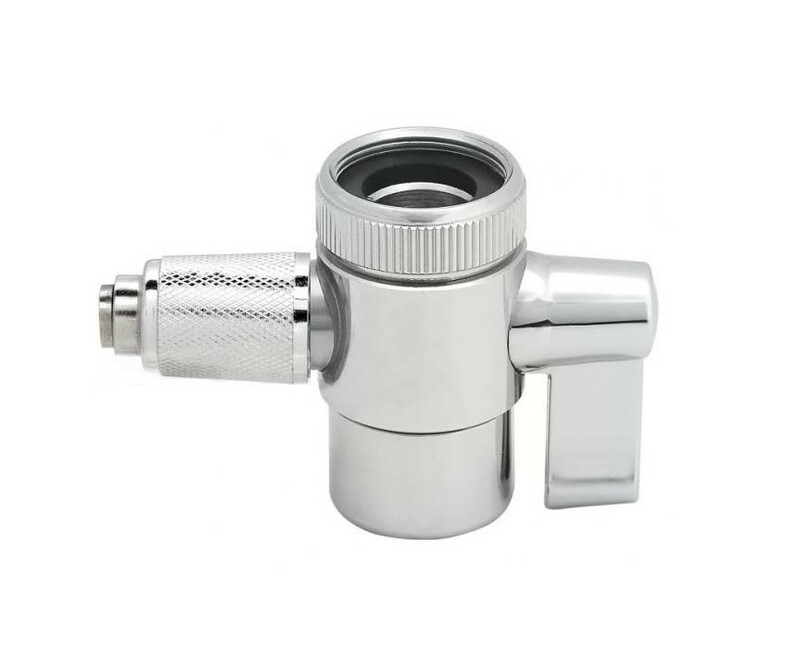 This is an upgraded and durable replacement Diverter Valve for our Countertop Filtration Systems, which allows you to connect your water filter to the faucet. This unique, high-quality, Diverter Valve is Lead-Free and designed for use with our Countertop Water Filtration Systems. It screws onto your kitchen faucets' threads in place of your current aerator mesh, allowing the attachment of your water filters' feed tube by simply pushing it into the input port. © 2010 - 2019 | PureEffectFilters.com | All Rights Reserved.